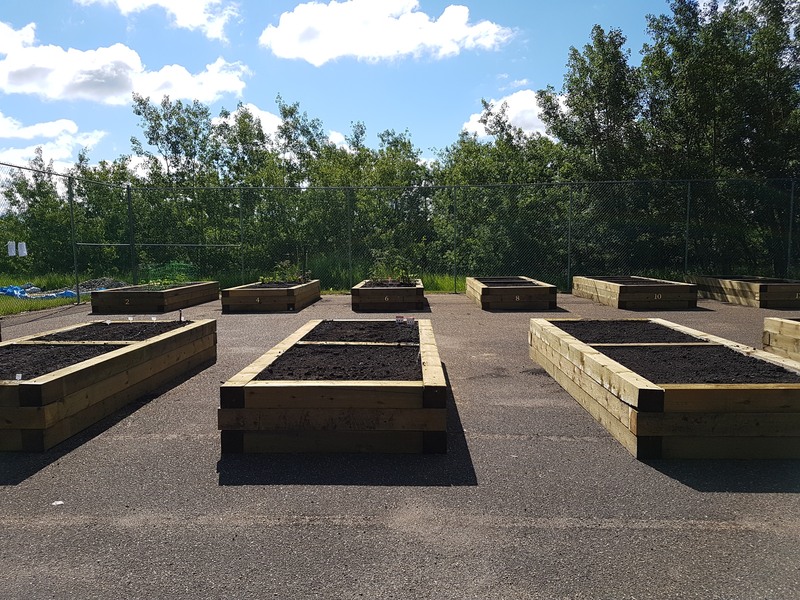 Residents of Heatheridge Estates will now be able to enjoy growing their own fruits and vegetables in expansive community garden plots following a multi-day work bee to convert a tennis court into gardens right on the property. 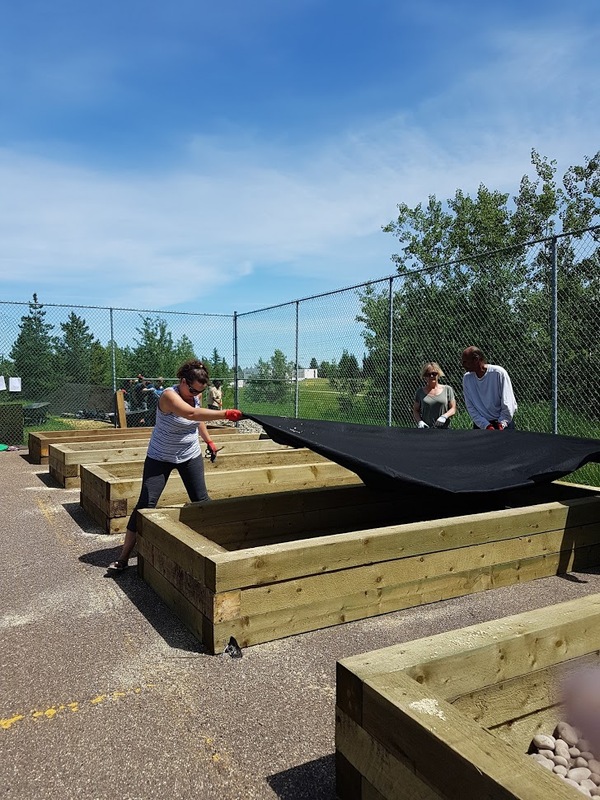 Two days of teamwork by Kelson Group staff from the Edmonton area in early June to haul, measure, saw, and nail a total of 17 garden boxes, then fill each with soil, means residents can start growing things right away in time for late summer and fall harvests. The advantage of this kind of teamwork project means many of our residents can enjoy growing their own food, which is something that has been of interest for this community, says Roxanne Johnson, Kelson Group Property Manager. that people can enjoy for years to come." 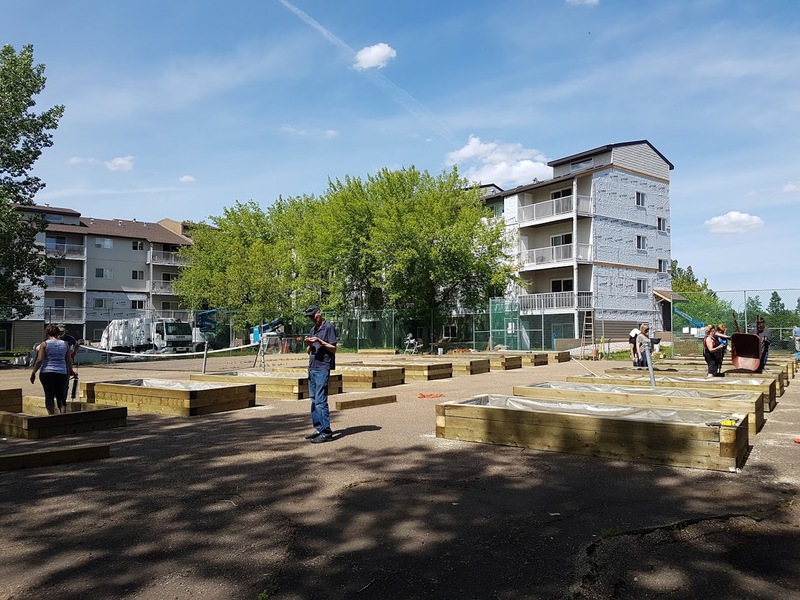 The company is committed to its corporate vision to be the best provider of rental housing and this latest project helps foster a healthy lifestyle while building community with residents. For more information on Edmonton apartments for rent at Heatheridge Estates, give us a call at 780-435-9430.